Our dear friend Gary Peck served Mt. 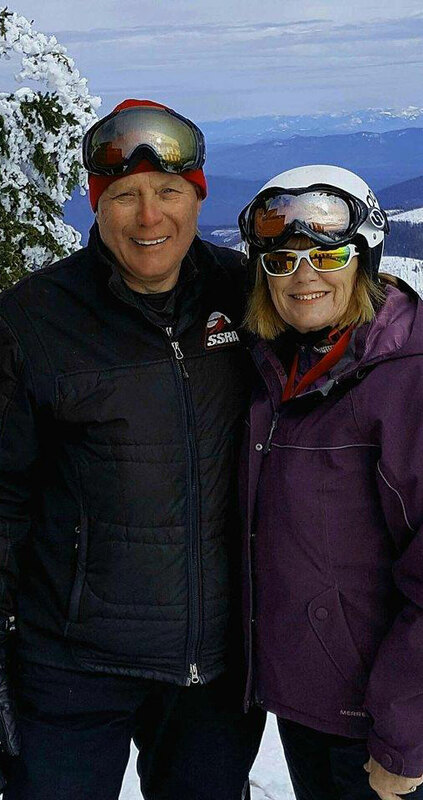 Spokane Ski Patrol and Spokane Ski Racing Association for over four decades as a patroller and ski racing coach on Mt. Spokane. As MSSP Patroller #120, he earned a National appointment from the National Ski Patrol in 1986 for his outstanding service and dedication to the NSP. He earned the MSSP Director’s Award in 1996 for outstanding leadership, and the NSP’s Marlen Guell award for 25 years of excellence in 1997. He was a very talented first responder but also always kept the “fun” in patrolling. 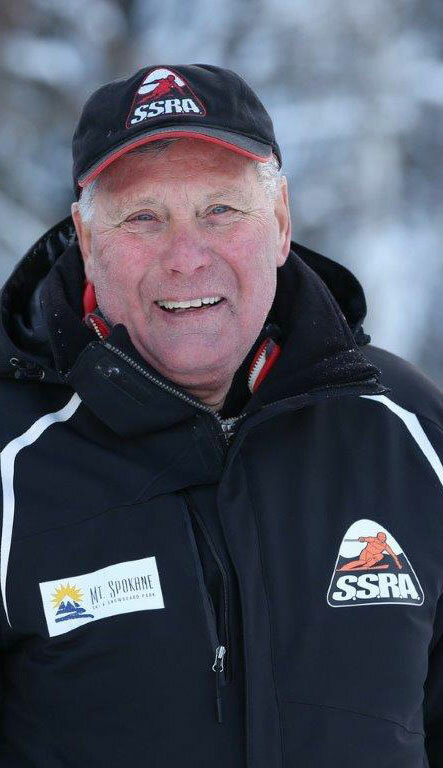 As a ski racing coach with SSRA, Gary taught hundreds of kids not only to ski, but about discipline, leadership, and good values. Kids LOVED Gary, he inspired many kids AND adults to live their passions to the fullest, work hard and smile. He was always positive and fun. And the party didn’t start until Gary got there. He had one of those personalities bigger than the room. Read more about Gary Peck from our friend and one-time MSSP patroller Bill Jennings. Gary left us too early in the spring of 2018. His legacy of service, love, and enjoyment of life live on in all of us and the mountain. Few have left the legacy and overall footprint on not just our patrol, but the entire Mt Spokane community, that Gary Peck will leave. His legacy of teaching, coaching, patrolling, leading, mentoring and teaching us all how to enjoy life will live with us forever. 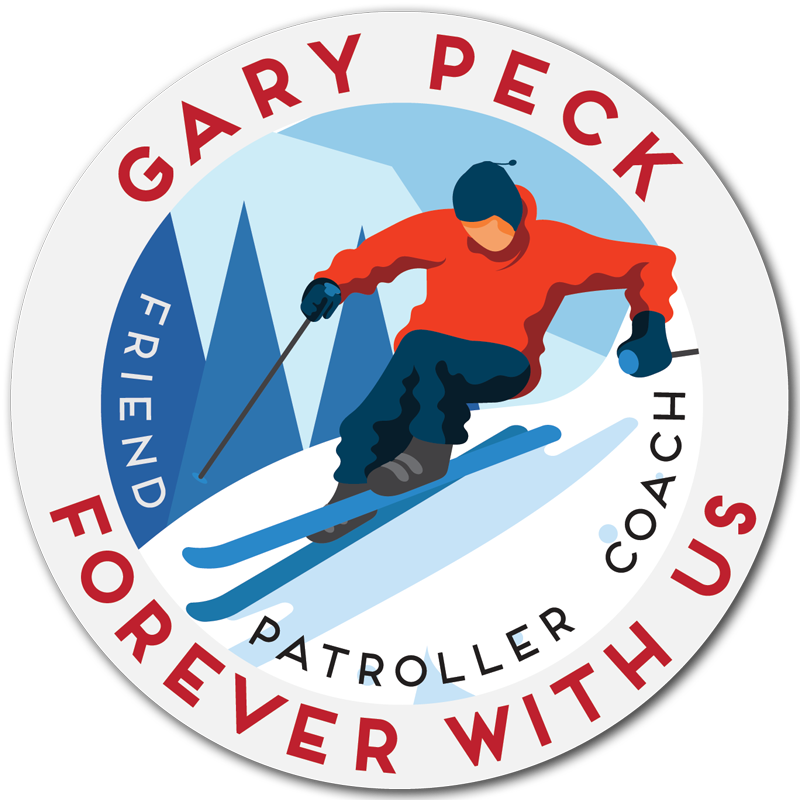 Thank you Gary for all that you did for our Mountain, our Patrol and hundreds of young skiers in your fabulous lifetime! Mt. Spokane Ski Patrol and Mt. Spokane Ski & Snowboard Park are raising funds to name one of the new Chair 6 “Northwood” expansion runs in memory of Gary. We’ve designed a memorial pin to honor Gary and to help raise funds for the run dedication. These pins recognize Gary’s deep involvement with MSSP, SSRA (now MSSRT), the community, and as our friend and family member. Pins are available for a suggested minimum donation of $10. Use one of the buttons below to donate and receive a Gary Peck memorial pin. A donation may be made via PayPal by visiting https://www.paypal.me/mtspokaneskipatrol. Please specify in the notes how many pins you’d like for your donation amount if more than one, and pickup instructions. Pickup is available at Mt. Spokane Ski Patrol, several MSSRT members, or if shipping please add $7. Donations may be made via cash or check in person please speak with Ski Patrol Director Randy Foiles or Kristin Whitaker, or Miki Peck with MSSRT.